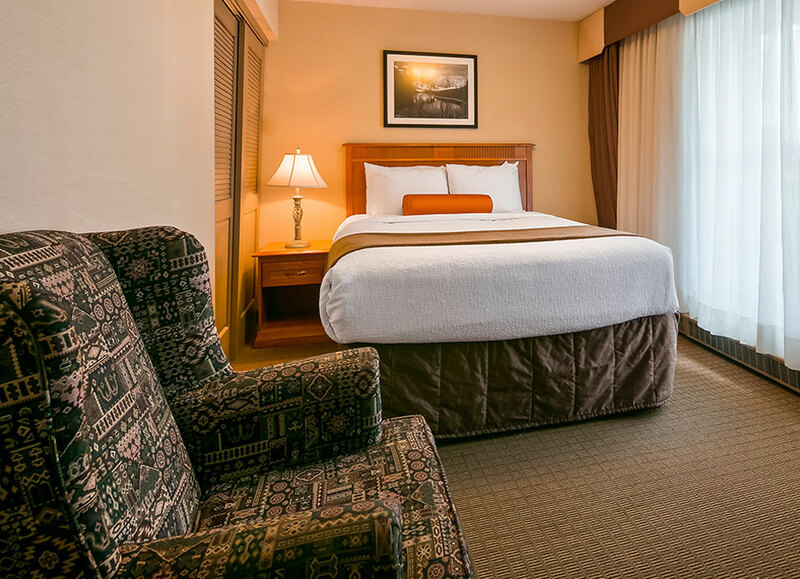 Whether you are travelling during the summer or winter, you'll always find a great room at a competitive rate at the Best Western Plus Siding 29 Lodge in Banff. Our tastefully furnished rooms and suites are among some of the best Banff accommodations in the area. 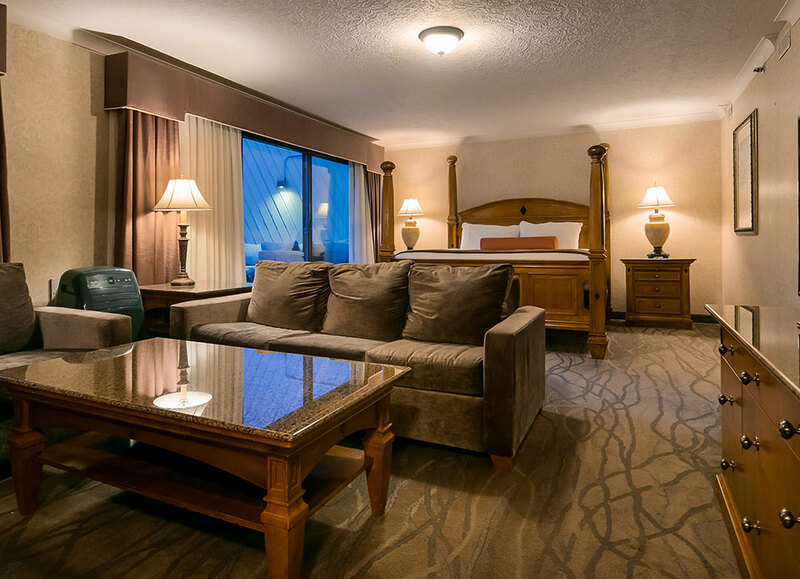 With first class hotel suite and room amenities, including complimentary high-speed internet access, air conditioning, cable TVs, dataports, mountain views and Jacuzzi tubs – you simply can’t go wrong when you choose our hotel for your Banff adventure. Our Single Rooms are our most economical rooms for single travellers or couples. 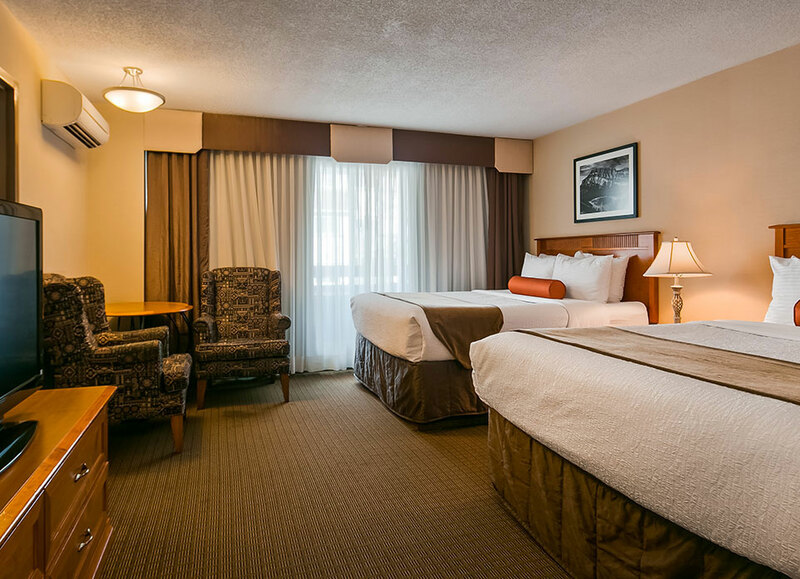 They feature a queen or king-size bed and our standard amenities, including air conditioning, cable TV, telephones, high-speed internet access, dataports, AM/FM alarm clocks, desks, irons and ironing boards, coffee and tea makers and hairdryers. Our Standard Rooms are a great combination of comfort, luxury, and affordability. They sleep groups and families of up to four people in two queen-size beds. They feature our standard amenities including air conditioning, cable TVs, telephones, high-speed internet access, dataports, AM/FM alarm clocks, coffee and tea makers, desks, irons and ironing boards, and hairdryers. Our Standard Plus Rooms add a few extra touches to our Standard Room for groups that need more space. Extra features include a pull-out couch and a small refrigerator, as well as our standard amenities like air conditioning, cable TVs, telephones, high-speed internet access, dataports, AM/FM alarm clocks, coffee and tea makers, desks, irons and ironing boards, and hairdryers.